OUR GOLF, YOUR WAY: Blairquhan Castle awarded a 5 Star rating! 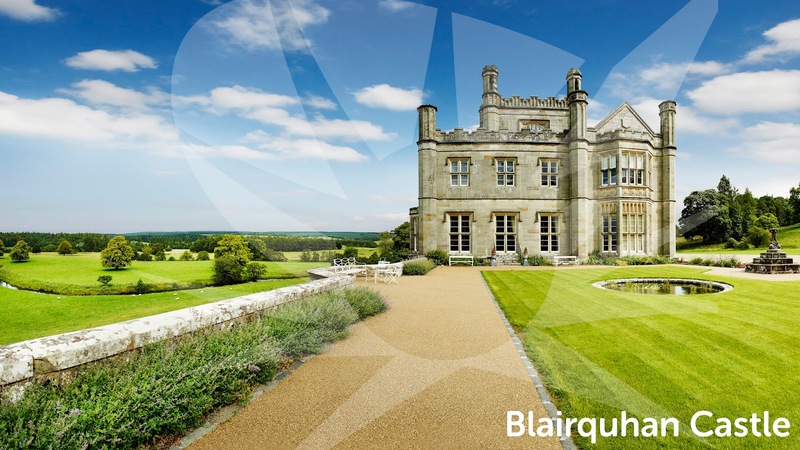 Blairquhan Castle awarded a 5 Star rating! We are delighted to announce that Ayrshire Golf Scotland founder member, Blairquhan Castle has been awarded 5 star status by Visit Scotland in the Exclusive Use Venue category recently. This reward is highly regarded within the Scottish tourism industry and is a true affirmation of the superb facilities and high service standard Blairquhan has been offering to their guest. Whether you are organising a corporate event including some golf in the area, a private golfing trip with friends or simply just a day meeting or private dining, Blairquhan is the ideal venue for any golfers looking to play on Ayrshire's famous courses. Situated very close to Turnberry and is less than 30 minutes from Prestwick and Royal Troon Golf Clubs. Get in touch directly with Blairquhan to arrange a show round and discuss all your events needs with one of their friendly and helpful staff on 01655 770239 or email enquiries@blairquhan.co.uk. Please note that the 5 star status is awarded to Blairquhan Castle as an Exclusive Use Venue, not on any of their holiday cottages on the estate which are self-catering properties.